Integra Custom Systems of Tucson, Az offers complete low-voltage solutions to any size business for an excellent price. We do it all, from Alarm & Surveillance camera systems, fire & CO2 detection systems, distributed audio/video solutions, automation, networking, access control systems, and much more. Click on the service your interested in to learn more or click below to get a free quote now! Integra Alarm is a locally owned and operated business, so we understand the importance of keeping your business safe, as well as making our community safer as a whole. Alarm systems deter burglars and vandals, making our community safer as a whole. Have true peace of mind knowing your business is safe and that, in the even something should happen, police will know immediately, enabling a quicker response and resolution. 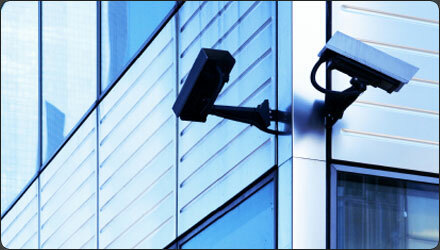 Regardless of size or industry, Integra has a security solution for every business. With advance intrusion detection systems for building and lot perimeters know your building and outside areas are safe and monitored 24/7. Video surveillance that's always recording and offers remote viewing lets you check in on your business anytime from anywhere. Watch a live feed or review recorded footage to find out what's happening when your not around. With keypad and prox sensor door locks you can easily set up new users, restrict what areas who can access and at what times. Receive a notification every time a door is accessed that tells you when and what employee. 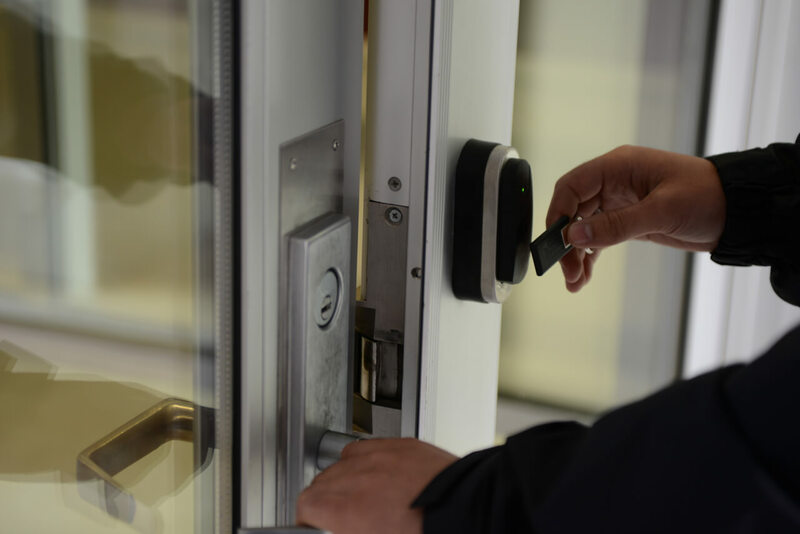 Automate door locks to unlock at the beginning of the day and lock at closing time so there is never a worry of whether an employee remembered to lock up or not. If and when an employee decides to leave the company, simply delete their user info, guaranteeing no access from any unauthorized personnel ever occur. Integra offers full range advance fire and CO2 detection systems that not only bring you up to code but provide a sense of security knowing that anytime a sensor is tripped, you will be notified. When integrated with your security system, our detectors will automatically contact emergency services. Integra Custom Systems offers a wide variety of Audio/Video solutions. Needs a video conference setup for your conference room? 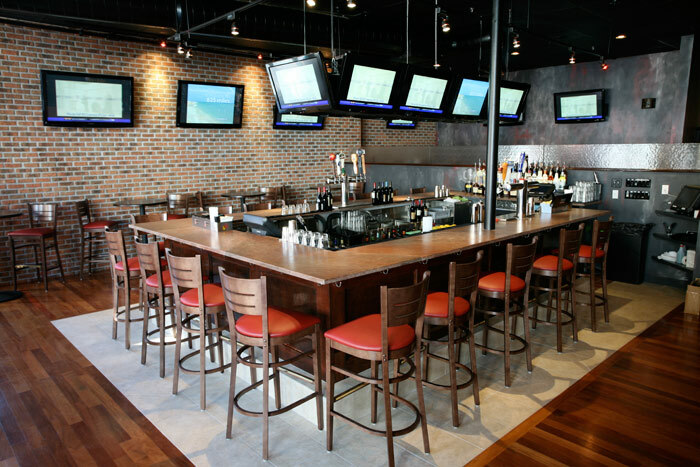 Need distributed audio/video to multiple tvs for your restaurant or bar? How about outdoor speakers for your patio? Distributed audio/loudspeaker setup for your venue or house of worship? Just need a couple new tvs mounted or speakers installed onto an existing system? No matter the type of business or specific A/V setup your looking for, Integra has you covered! 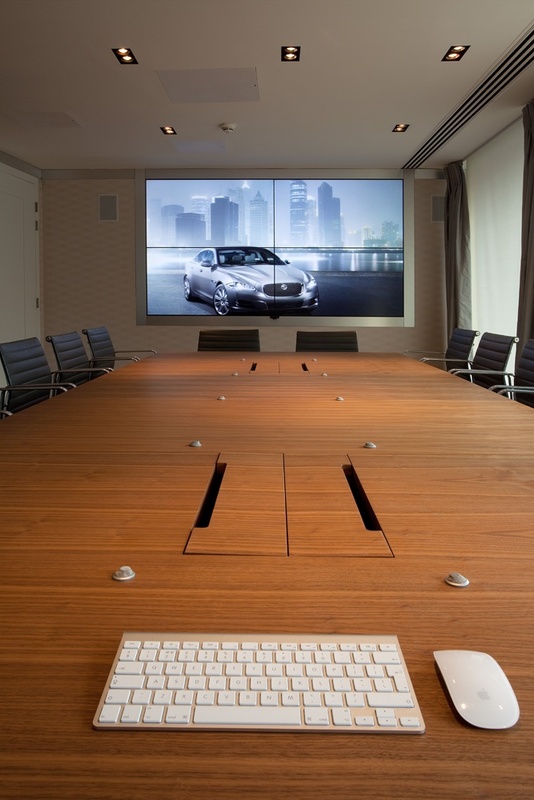 Integra offers a wide range of AVS (Audio/Video Systems) Solutions for every kind of office. We install only the highest quality equipment and stand behind our work. From custom video conference systems, distributed audio systems that allow for control of what's playing in each office or waiting room, distributed high definition video between multiple displays is great for waiting rooms, training, and meetings. Keep everyone on task and business flowing smoothly smart, centralized A/V system for your office! Want your bar or restaurant to stand out? Want to offer the ultimate entertainment experience to your customers like no other? Having a quality, reliable Audio/Video setup is vital in the service industry. The more entertained your custom is, the longer they will want to stay, which is a win for your business and your customers alike. Integra offers full A/V systems, from distributed in-wall audio systems that allow you to have control over what music plays when and where, indoor or out, to Multi-Display full High Definition Distributed Video. 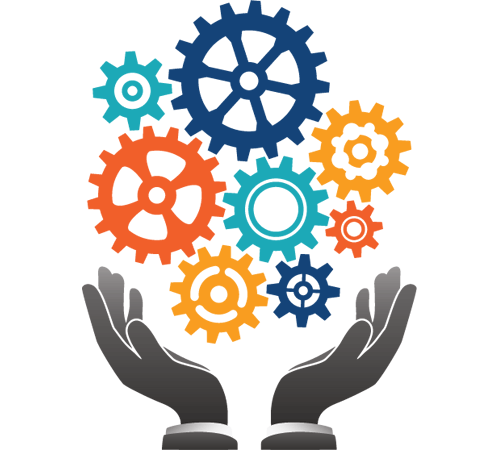 Optimize your business while simplifying your life at the same time with Integra Custom Systems Business Automation Solutions. Image a business that opens itself up in the morning and shuts down and locks up at the end of the day! With business automation this is a reality. Have your doors automatically unlock in the morning, have the light turn on, have your A/V systems automatically come to life and the a/c kick on and so much more! Never again loose money to lights or tvs being left on! When integrated with your security system automation can do so much more! Be notified when an employee arrives or leaves a certain area, even have your alarm system automatically arm and disarm. 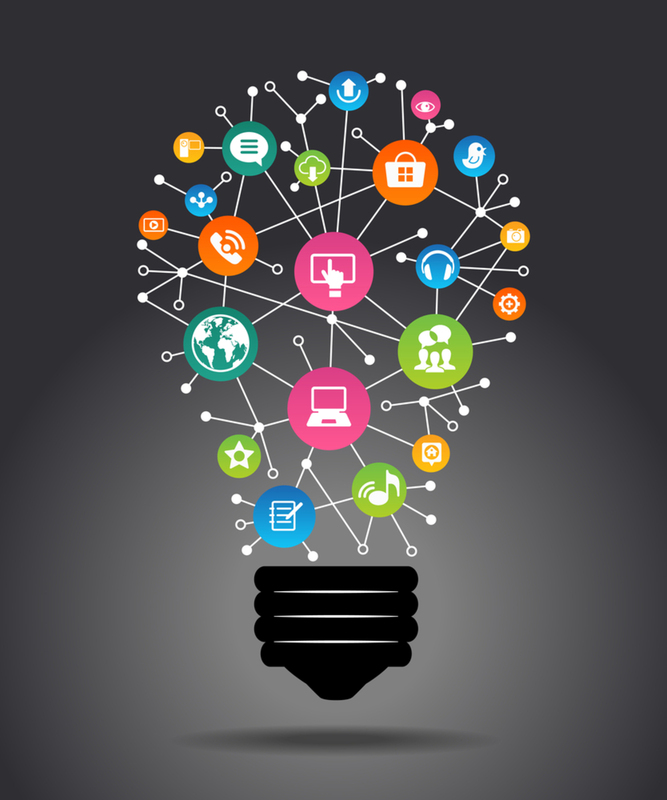 Save money and time with smart business automation! Integra offers full range network solutions. Hardwired or wireless, DHCP or Static IPs, from 1 device to a full industrial park system. We install new solutions as well as repair, retrofit, and replace existing networks. If it's connected then Integra has got you covered! Need something but don't see it on the services? Integra Custom Systems installs and repairs any low voltage system, standard or custom, even if we didn't do the original install. Chances are that if you need it done, Integra can do it. Don't hesitate to contact us regarding installs or services that might not be listed on our site, chances are we can help! Fill out the form below for more info or to inquire into specific systems you might need.